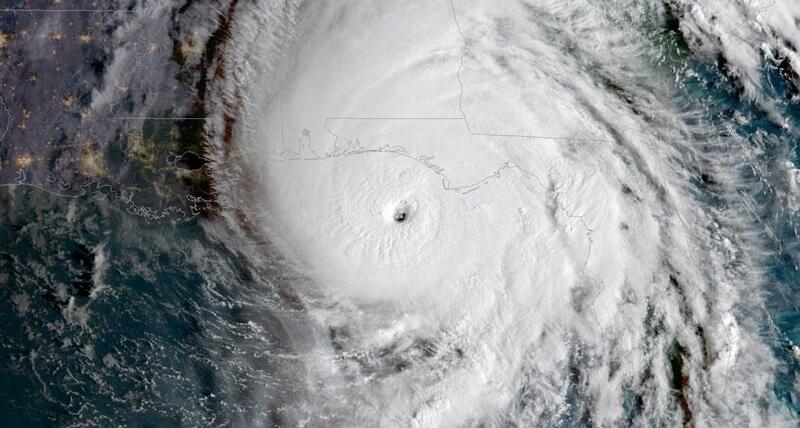 Call it an October surprise: Hurricane Michael strengthened unusually quickly before slamming into the Florida panhandle on October 10 and remained abnormally strong as it swept into Georgia. The storm made landfall with sustained winds of about 250 kilometers per hour, just shy of a category 5 storm, making it the strongest storm ever to hit the region, according to the National Oceanographic and Atmospheric Administration's National Hurricane Center, or NHC. Warm ocean waters are known to fuel hurricanes' fury by adding heat and moisture; the drier air over land masses, by contrast, can help strip storms of strength. So hurricanes nearing the Florida panhandle, a curving landmass surrounding the northeastern Gulf of Mexico, tend to weaken as they pull in drier air from land. But waters in the Gulf that were about 1 degree to 2 degrees Celsius warmer than average for this time of year, as well as abundant moisture in the air over the eastern United States, helped to supercharge Michael. Despite some wind conditions that scientists expected to weaken the storm, it strengthened steadily until it made landfall, which the NHC noted "defies traditional logic." The fast-moving storm weakened only slightly, to a category 3, before hurtling into Georgia. Although it is not possible to attribute the generation of any one storm to climate change, scientists have long predicted that warming ocean waters would lead to more intense tropical cyclones in the future. More recent attribution studies have borne out that prediction, suggesting that very warm waters in the tropical Atlantic helped to fuel 2017’s powerful storm season, which spawned hurricanes Irma and Maria. Hurricane Harvey, fueled by unusually warm waters in the Gulf of Mexico in August 2017, also underwent a rapid intensification, strengthening from a tropical storm to a category 4 hurricane within about 30 hours. And this year, scientists reported that Hurricane Florence, which slammed into the Carolinas in September, was probably warmer and wetter due to warmer than average sea surface temperatures in the Atlantic Ocean.